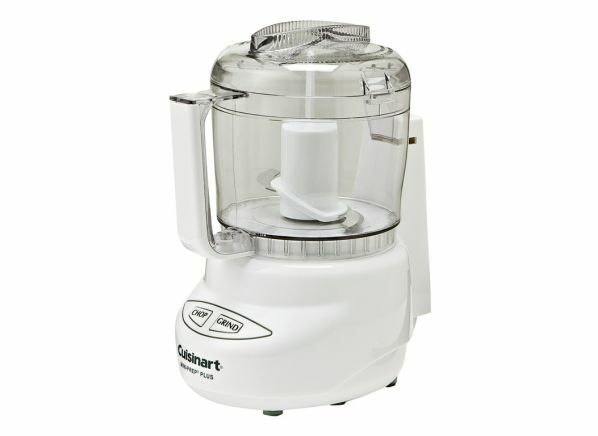 The Cuisinart Mini Prep Plus DLC-2A is part of the Food processor & chopper test program at Consumer Reports. In our lab tests, Food processor & chopper models like the Mini Prep Plus DLC-2A are rated on multiple criteria, such as those listed below. Claimed capacity: Capacity of choppers is as claimed by the manufacturer. Pureeing: We judged each model¿s proficiency at puréeing peas and carrots. Accessories Accessories Any additional accessories that may come with the chopper. Controls Controls Type of controls. Warranty (yrs.) Warranty The manufacturers' warranty on the food chopper.